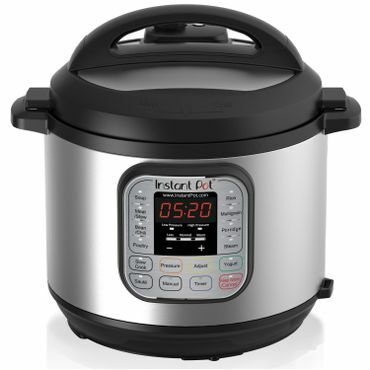 The Instant Pot IP-DUO60 pressure cooker is a highly versatile, 7-in-1 multi-cooker that earns near-unanimous praise from both experts and owners. It has earned a near cult-like following, with dozens of books and websites devoted just to Instant Pot recipes. Highly versatile and a top performer. Owners are nearly unanimous in their love for the Instant Pot IP-DUO60 programmable pressure cooker. Many wonder how they lived without it, saying it perfectly cooks meat, risotto, vegetables, and many more foods; and does so very quickly. Quite a few owners say that it works as well as a rice cooker and slow cooker as it does as a pressure cooker, and testing backs up their experiences. In a roundup at Good Housekeeping, editors say it was the only electric pressure cooker to prepare rice as well as a dedicated rice cooker, and aced their slow cooker tests. It performed equally well in testing at Wirecutter, with great results in everything from sautéing to slow cooking. Testing at Reviews.com similarly found that the IP-DUO60 turns out perfectly cooked meals on any setting. Consumer Reports, testing to see if it really could replace seven appliances, found only one instance in which a more dedicated appliance did a better job -- and that was in steaming. Many owners are particularly thrilled with its yogurt making feature, which they say makes it worth the investment. A small learning curve. In testing at Wirecutter, Lesley Stockton notes that the Instant Pot, "looks complicated, but is actually very simple to figure out." Most owners agree, but they also pan the included instruction book, which they say isn't very helpful. 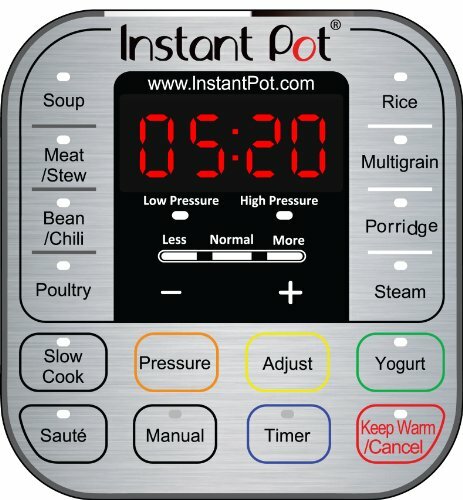 However, the Instant Pot is so popular (we saw the words "Instant Pot cults" more times than we can count), that there are almost unlimited internet resources for downloading recipes and instructions, including videos that walk you through learning to use the Instant Pot. The IP-DUO60 is reported as easy to clean and the stainless steel cooking pot is dishwasher safe. It has a lid rest on the pot, something many reviewers appreciate. One quibble we saw about ease of use from J. Kenji López-Alt at Serious Eats -- he found the interface to be unintuitive due to the many buttons and presets. He also notes that it's tough to figure out if it's actually doing what you've set it to do because the LCD feedback is "old-school." He says you have to be sure to be patient and wait for the beep that tells you it's started cooking. Very few complaints. This 6-quart version of the Instant Pot was released in 2014, and we found very few complaints of breakage or other durability issues, even when it's used several times a week. The inner pot is a 3-ply, food-grade stainless steel; something that's unique in electric pressure cookers -- most are coated with nonstick material, which turns off those who are trying to avoid chemical coatings. One issue we did see: many reviewers, even those who give this a 5-star rating, say the gasket stinks to high heaven after making anything that's strongly-flavored and it's hard to get the smell out. Some say they buy a second gasket, the Instant Pot Sealing Ring (Est. $8), to keep one for things like meat-based meals and one for more mildly-flavored items. The gasket is not covered under the 1-year warranty. A high level of safety.